Global technologies works out complete design subcontracting for entire circuits from specifications to FPGA implementation and test. Our design expertice designs complete blocks or modules, starting from your specification to validated schematic or VHDL code. This is a generic FPGA design Flow. It describes the basic steps which a designer follows to create a system. Xilinx and Altera, they have somewhat specific design flows, but more or less the design hierarchy is the same. We deliver FPGA based design. We have experties in Digital signal processing. We deliver FPGA design services to industries. - Soft-core/hard-core IP design in FPGA. - Soft-core processors- PicoBlaze & MicroBlaze. - Introduction to Xilinx EDK tool. 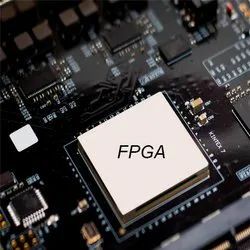 - Discussion on different kind of packages in FPGA. 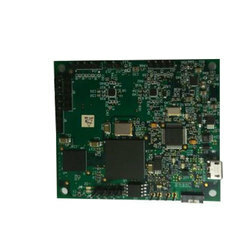 Our company is highly esteemed in rendering FPGA Design Service. - We offer support through product design, architecture, software development, hardware integration, deployment and support. Our unique expertise in the Wireless ecosystem makes us the first choice and trusted partners in delivering next generation wireless products to the market. VLSI trainer protoboards or kits are extensively used in prototyping of FPGA based product designs, training and for experimental purposes. PathPartner has extensive experience in design services on FPGA platforms such as Altera and Xlinx. Bharat Avionics delivers FPGA design services to its customers in the Communication, Defense, Avionics domains. Our Team brings top-quality skills to analyze and service your specific needs. Our Engineers brings a strong technical heritage and receives ongoing training as a fundamental job requirement. GlobalTech is a leading provider of ASIC Design, ASIC Verification, FPGA Design, ASIC prototyping and silicon validation services. Our 8000 sq. ft. offshore design center has carried out multiple chip and product design solutions for customers across the world.